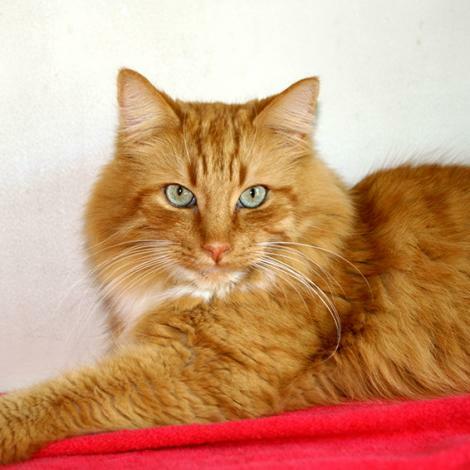 This handsome devil is named Rascal and he is a social, sweet natured cat who never quarrels, bites or scratches. He enjoys being petted but does like his own space and prefers to be left alone. Because of this he is not a lap cat and will need time to adjust to his new surroundings. He is approximately 5 years old and gets on fabulously with other cats. Rascal currently resides at North Toronto Cat Rescue and has been neutered and vaccinated. For more information on Rascal or to inquire about other cats in need of good homes, please contact the North Toronto Cat Rescue at 1-905-940-2287 or view their website here. This entry was posted in Cat of the Day, Pet Rescue, Toronto and tagged adoption, animal adoption, animal rescue, gta, Ontario, rescue, toronto by Raquel. Bookmark the permalink.